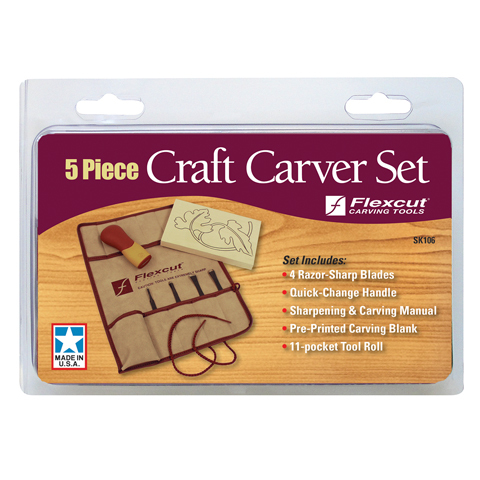 This set comes with four interchangeable carving blades, a quick-connect ABS handle, a leaf project carving blank and an 11-pocket tool roll. It includes one #3 (3/8") Sweep, one #6 (5/16") Sweep, one #9 (1.5mm) Micro Sweep and a 1/4" × 70° V-Tool. An owner's manual is also included with step-by-step instructions for completing the leaf project.